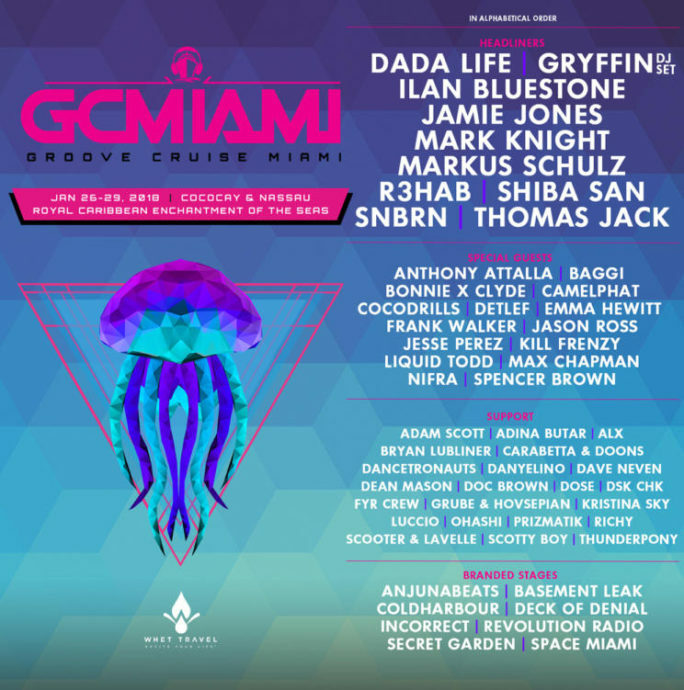 A couple weeks ago, electronic music festival cruise “Groove Cruise” departed Miami on their trip through the seas. 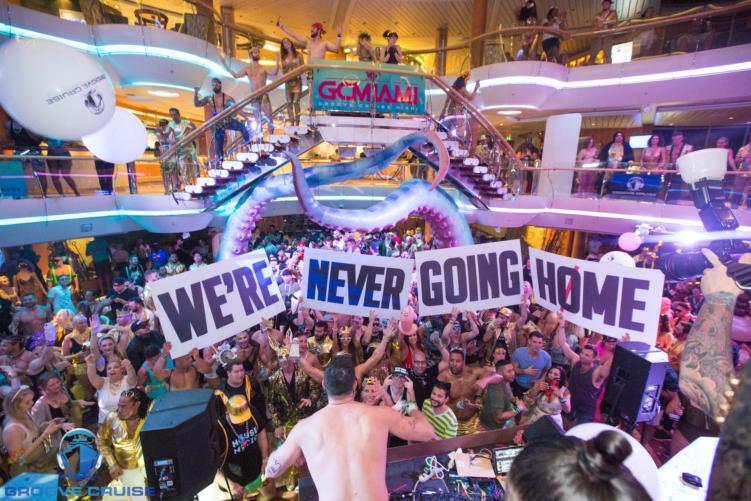 The cruise boasted artists such as Dada Life, Jamie Jones, Shiba San, and more. The entire lineup is posted below. Just as any regular music festival, attendees are encouraged to be themselves. That entails dancing how they want and wearing whatever they please (whether that be a lot or little). Allegedly, those onboard a Disney Cruise line ship did not appreciate the free spirits on GC There is one individual in particular who took to Facebook to blast the Royal Carribean cruise ship as they both docked in Nassau to hop off the boat. She called those onboard Groove Cruise “filth” and “radical swingers”. Jackie was not pleased. In the video, attached below, she also claims that someone “fell off of the boat deck” yet her fingers cover the camera and nothing can be seen. Someone has actually began a GoFundMe to purchase her a ticket for Groove Cruise 2019. Jackie needs some “radical swingers” in her life! Hey, how about deleting this? Are you an idiot? Delete this right now!!! This is bad publicity. Little did she know, the horse was actually a donkey and it was the naughtiest of them all.